Acetaia Gocce, Modena, Italy, is part of Acetaia Leonardi and exists since 1871. 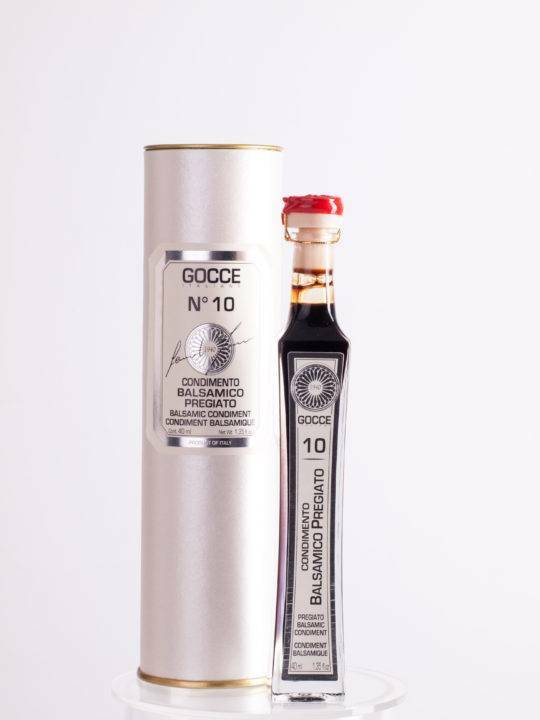 Thanks to it's long lasting reputation, Acetaia Gocce has been able to build up a wide range of products based on their Balsamic Vinegar I.G.T. and Balsamic Condiments that does not meet it's equal in the Modena area. Balsamico di Modena Ciliegro (Cherry) & Ginepro (Juniper) are definitely a proof of this history. For the Balsamic Vinegar, wine vinegar has been, added at the start of the ripening process, which is not the case for Balsamic Condiments, giving a milder, lightly sweeter flavour. The older the Balsamic Condiment (Bittersweet Dressing) it will become a bit more sweet and the taste more delicate. Contrary to wine, the age of the barrels used to mature the balsamic is of importance. The older the barrels, the better. Every year a small amount of the Balsamic is transferred to smaller barrel made of a different kind of wood. The the age of the condiments is indicated by the number of year, Travesi. 1 Travesi is one year, 2 Travesi is 2 years,... 15 years and older condiments are often used as digestif. 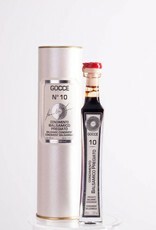 Nr 10 - 10 years old: roast or grilled meat, boiled meat, fish, omelette, Foie Gras, cheese, fruit salad, ice cream, yoghurt.